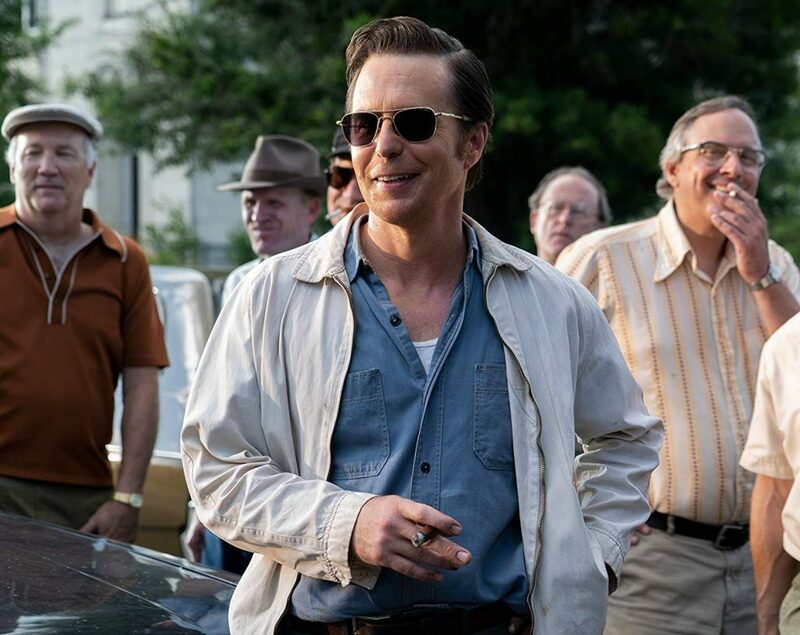 The Best of Enemies is written and directed by first-timer Robin Bissell and stars Taraji P. Henson and Sam Rockwell as two people on complete opposite ends of the spectrum. 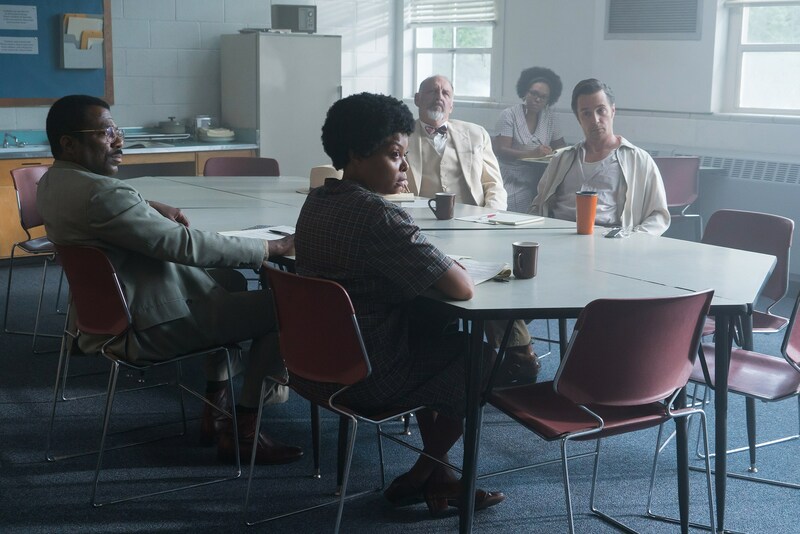 Henson plays real-life political activist, Ann Atwater, while Rockwell portrays – you guessed it – an intolerant scumbag named CP Ellis who just so happens to be the president of the local chapter of the Klan. The year is 1971 and racism and segregation is still very much present in Durham, North Carolina. After an African American school is badly damaged due to a fire, the city council has a difficult decision to make in regards to where the children will finish their schooling. The only viable and sensible option is to allow them into the white kids’ school, but of course, nobody in the town can stomach the idea of black and white children going to the same school. The all white city council comes to a decision (yes, the one you’d expect), but only to be thankfully stalled by the injunction of the NAACP. Enter Bill Riddick (Babou Ceesay), a mediator if you will, who comes to Durham to host a charette (a term I’d never heard before but after hearing a dozen times in this movie, I’ll likely never forget). A charette is basically a conflict resolution meeting in which Riddick has been known to have great success with in the past. The goal? To take the responsibility out of the city council’s hands and allow the town to fairly decide the outcome on their own over a ten-day period. The catch? Ann Atwater and CP Ellis will be the two co-chairs leading the thing. Henson is powerful in her performance as the hard-headed, do-what’s-right activist, but doubly so is Rockwell with his all but familiar role as an ill-informed racist white man (something he won an Oscar for just two years ago in Three Billboards). Despite being an incredibly hateful piece of human garbage, there’s something about his character in both films that shows an underlying layer of good somewhere deep down. It could also just be a testament to Sam Rockwell’s abilities as an actor as well. The film works best because of the inspirational story of Ann Atwater and the film’s two leads. Without one or the other, this could have maybe fallen into a Lifetime movie pit. That’s not a knock on the real-life story at all, but more so the formulaic approach in telling it dramatically. Knowing it’s a true story (or maybe even not knowing), it’s easy to telegraph how it’s going to end, but I will say, it doesn’t make it any less powerful. Hate is something that is taught to the weak and if hate can be learned, it can also be unlearned. I had the honor of screening this movie with Reverend Denise Turner in the audience, one of Ann Atwater’s daughters. Before the film, she said some inspiring words and really resonated with what would inevitably transpire shortly on screen. Ann Atwater dedicated her life to ending inequality and injustice and making the world a better place in any and every way she could, and now her daughter is doing the same. Hopefully, more of us can do the same.